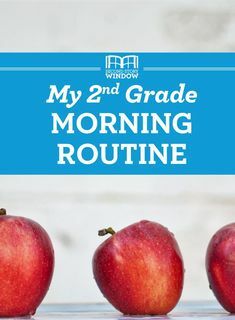 Looking for 2nd grade morning work? See it here. At last we are finally able to reveal our First Grade Morning Workbook! It’s definitely been a labor of love (and when Word freaked out because of all the graphics there were moments of less love), but we are so pleased with this new resource! You know how it goes at the start of the day: you’re trying to finish up attendance and lunch counts and parent notes and missing homework and you still have to manage 20 (or 30!) little people and you’re thinking “Where is my clone when I need one?” It may not be a teacher clone, but the First Grade Morning Workbook is designed to keep students engaged so you can handle all that behind-the-scenes stuff that needs your attention. And not just engaged— reviewing and practicing the key skills of first grade. Every minute of the day is precious we want to help you make the most of those hectic beginning minutes, too. What’s in this workbook? Well, I’m glad you asked! There are 180 pages of CCSS language arts and math spiral review. 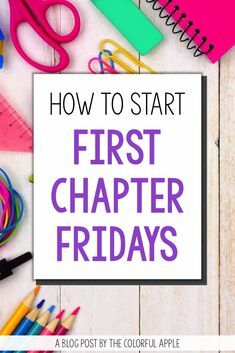 Because beginning first graders haven’t learned first grade content yet, we review kindergarten curriculum in the first few weeks. Simplified material helps students to master the procedures. You know how firsties are. There will be 2 or 3 weeks when you have to guide them through the page. After that they should be able to complete the work on their own. 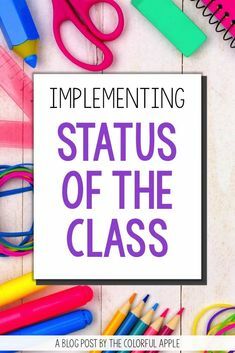 We intentionally made the format and question types repetitive so that once students are familiar with the expectations they can work independently—freeing you to wrangle the dozen other tasks that need your attention in the morning. We’ve tried to strike a balance between predictability (for student independence) and novelty (to keep students engaged). The book is built on a series of spiraling material within larger cycles. Every ten pages is one “cycle.” The type of question on page 3 is the same as 13, 23, 33, etc., but the content within those cycles gradually increases in difficulty. So on page 8 students are asked to identify the short a sound in a word. By page 168 they’re still practicing vowel sounds, but now they’re mastering more complex patterns, in this case the “oo” sound. 1. Vowel pattern focus (following the Words Their Way sequence) that progresses from short vowels through long vowels to diphthongs (oa, oy, aw, etc.). Words using this pattern are used throughout the cycle (vocabulary words, story problems, editing sentences, reading comprehension stories). 2. Consonant pattern focus (following the Words Their Way sequence) that progresses from basic beginning consonant sounds to basic blends/digraphs (ch,sk, etc). Words using this pattern are used throughout the cycle (vocabulary words, story problems, editing sentences, reading comprehension stories). On the first day, students are given a child-friendly definition and asked to copy the word. On another days, students are asked to draw a picture that illustrates the word. Simple sketches are best. The idea is to give students a graphic way of understanding the word in context. Later in the cycle students are asked to find the pictures that match the word. By the end of the cycle they’re ready to give their own nonexamples. 4. Original story to practice comprehension and fluency. Students read a story on page 5 (15, 25, etc.) answer questions about it, and fill in sentences about the story. On page 10 (20, 30, etc.) students read the same story for a second time. This time they answer multiple choice questions and draw a picture about the story. Many of the words in the story are taken from the cycle’s vowel/consonant focus. So the cycles are kind of like the backbone. Let’s put some fluff on this beast! A. This box alternates between the consonant focus and the vowel pattern focus. Questions rotate among 4 different question types for each subject. B.This box rotates among vocab and grammar/usage/mechanics questions. Again there are 4 different question types for vocab and 2 questions per cycle about grammar and 2 about usage/mechanics. C. [Pink C] On pages 1,3,6,8 students are given a prompt and asked to write their own sentence. They then check for capitals, punctuation, and (later in the year) spelling errors. [Blue C] On pages 2,4,6,9 students are given a sentence to edit. The errors in the sentence relate to capitals, punctuation, and (later in the year) spelling errors. D. [Pink D] On pages 1,3,6,8 students practice sight words. There are 4 different sight word activities in each cycle. [Blue D] On pages 2,4,6,9 students practice the cycle’s word family focus. There are 4 different word family activities in each cycle. E. [Pink E] On pages 1,3,6,8 students do one of 4 spelling practice activities. 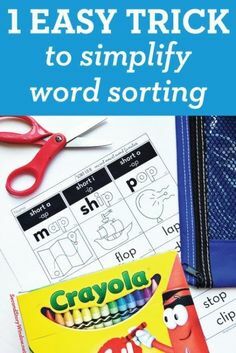 The spelling words are not provided so that you can use whatever spelling program you already have in place in your classroom. [Blue E] On pages 2,4,6,9 students answer math practice questions. Each number is practiced on two days with different questions. In total the students will do math this type of math practice question 4 times per cycle with 2 different numbers per cycle. F. This box rotates through number bond practice. For part of the year the questions progress through joining, comparing, separating, part/whole, balancing equations and starting in cycle 10 each cycle contains practice in each of those areas. G. This box alternates between place value and greater than/less than understanding. The place value questions start with the basic number understanding of number names and digits. After that we spend a significant amount of time practicing the “10 and some more” pattern (10 and 5 more make 15) with pictorial support. It seems simple to adults, but this is really one of the biggest keys to developing a clear understanding of our base-10 number system. We can’t rush this! Later students apply what they understand of simple patterns to multiples of ten. And now we’re dealing with numbers to 100 and adding and subtracting tens. For greater than/less than we start with a simple understanding of more and less. We use lots of pictures and small numbers at first. We practice using the words “greater than” or “less than” to compare 2-digit numbers before moving to the abstract symbols. H. This box rotates reviewing time, graphing, measurement, or geometry. Early in the year this box also contains balancing equation questions but that later moves to box F for the number bond practice rotation. Phew! You can see why it’s taken us so long to finish (and even write up this post!). Heidi has been using the first grade pages with her struggling 2nd graders and has found it to be the perfect support for them. It gives them the chance to firm up concepts they didn’t have solid from first grade and prepares them for the second grade work they do in class. * 180 different pages covering nearly all of the language arts and mathematics common core standards. That is a great question Jenn! I should have mentioned it in the post. We correct it together as a class. The kids use a crayon to mark the correct answer if they missed it. We dont do this as a means of collecting scores. Its for the wonderful practice they get and for me to be able to do a quick assessment of how theyre doing. I walk around while correcting to see who has a lot of mistakes, who didnt try very hard, etc. so I can work with them tomorrow. I hope that helps! I left a comment on Teachers Pay Teachers singing your praises and I just had to send another letting you know that my babies are loving these for morning work pages! It was WELL worth the investment. I love how it loops each day so the children are constantly reviewing. Though we are in day 117 of school I began from day one (as a review) and we complete 2 pages per day. Even my high-flyers are loving it! When I say I can’t wait for the 1st grade homework, well, that’s an understatement! You are just fabulous at what you do and I am grateful for all of your hard work. Yea!! I’ve been waiting for 1st grade homework! Think might be ready for next school year? Definitely in time for school next year! Awesome! Can’t wait. I love what you do! I teach 2nd Grade and I have your morning work packet, homework packet, extension packet…pretty much everything 2nd grade! I’m moving to 1st grade and can’t wait to buy all of your first grade goodies 🙂 I LOVE these packets-they have really helped my kiddos this year. Jackie, we love to hear that! Were focusing on 1st grade right now and hope to have more resources in the shop soon. Thank you!! The above free 10 page sample is of the second story, do you have the same sample of the first story that I could view please? Great product!!! I can’t wait for my first graders to use it this school year! Do have an idea as to when the first grade homework will be complete? Just curious…no rush! Found you on pinterest…great product! I also was wondering when the homework would be finished? I am currently re-vamping my homework in anticipation of school starting next month and would love to see if this is what I would need. Thanks! Were working on it now and expect to have it done in plenty of time for the new school year. I just previewed your work and I love, love, love it! I’ve been teaching over 12 years and cannot say enough great things about your Morning Work. Thanks so much! What do you feel is the best way to copy it for the kiddos? By the week, month or year? We like to do a whole workbook for the entire year but it can work any way you want it to. I love this product and am interested in purchasing it. Please tell me if the sight word section is based on Fry’s list, Dolch’s list, or a reading series. Do you have one homework book for kinder, also how about bilingual? We are working on kindergarten morning work. But no bilingual. Do you check the students off by standards or just generally when they complete the work.Just wondering.